BANGKOK, Thailand - All wars cause collateral damage. Vashni is collateral damage in Canada's war on human smugglers. The soft-spoken Tamil woman in her 30s lives one step ahead of the law in Thailand and longs to be reunited with her elderly parents in Toronto. But she would never consider resorting to using one of the notorious smugglers who operate out of Bangkok to make that happen. "I don't want to take that risk to myself," she explains. "Why? It's too dangerous and not safe." Vashni, whose identity is not being revealed to protect her safety, exists in stateless limbo. She and hundreds of other Sri Lankan Tamils are languishing in a shadowy netherworld within this teeming south Asian metropolis. For the last two years, she's struggled to stay one step ahead of a Thai government that considers her an illegal migrant. If she's sent back to her native Sri Lanka, she faces torture, imprisonment and perhaps death. Vashni has been swept up by the bitter aftermath of her homeland's 26-year-civil war that ended three years ago with the Singhalese majority crushing Tamil separatists. In the 1990s, she was conscripted -- against her will she maintains --into the rebel Tamil Tigers, a group Canada considers a terrorist group. She and hundreds of her fellow Sri Lankan Tamil migrants here in Thailand have also been swept up in another Canadian-led battle: the major international law enforcement offensive targeting Thailand-based human trafficking crime rings. Canada launched the ambitious international effort to prevent smugglers from reaching our shores. In 2009, the MV Ocean Lady brought 76 Tamil migrants to British Columbia, and the MV Sun Sea brought 492 a year later. Prime Minister Stephen Harper gave Thailand another $12 million to combat the smugglers during a visit here last month and his government introduced a tough new immigration bill that targets the gangs. The much-touted legislation passed in the House of Commons on Friday and now goes to the Senate for quick, final approval. The co-ordinated policing and political effort involving Canadians, Thais, Australians and others across the globe appears to have prevented another Ocean Lady or Sun Sea from reaching Canada's west coast. Earlier this month, a Sri Lankan ringleader of the Bangkok smuggling network was arrested in France. But there is a human cost associated with these law enforcement successes. Thailand doesn't recognize international refugee law -- it considers people like Vashni to be illegal migrants. So they must apply to the United Nations High Commissioner for Refugees (UNHCR) for refugee status. If they are successful, then they wait for a third country to grant them residency -- a process that can take years. If they are like Vashni, and have had their claims rejected by UNHCR, the waiting becomes interminable. "Every month we go to the UNHCR to see the consultant. They say, you wait, you wait. How long do we have to wait without an answer?" The latest UNHCR figures from March, obtained through a third party by The Canadian Press, show that 275 Sri Lankan Tamils have been granted refugee status, while another 142 have not. Aid agencies say more Tamils -- nobody knows how many -- haven't bothered approaching UNHCR. Phil Robertson, the Bangkok-based deputy Asia director for Human Rights Watch, says many Tamils are being sent back to Sri Lanka where they face grave harm from the predominantly Singhalese government. "That's what we're seeing now in Sri Lanka. People have been sent back from the U.K. and have been detained, interrogated and tortured," says Robertson, whose organization issued a public plea to Britain late last year to stop sending Tamils back to Sri Lanka. "It's not as simple as: stop the boats from coming and that's that. There are consequences on the ground here in Thailand." Alan Keenan, Sri Lanka analyst with the International Crisis Group, has documented abuses towards Tamils in the post-civil war period. "There's some sufficient evidence that people who are failed asylum seekers are at significant risk of detention and torture." Sri Lanka has been a politically charged issue for the Harper government. An estimated 300,000 Tamils in Canada represent their largest diaspora. They took to the streets in massive numbers in major cities to protest the government silence at what they saw as the slaughter of their people by Sri Lankan government forces in 2009. The Conservatives recently changed course with a much harder stance towards the Sri Lankan government, criticizing the slow pace of reconciliation and the reluctance to address allegations of war crimes. The Conservatives also moved to prevent more boatloads of Tamils from arriving on Canada's western shores, dispatching RCMP officers to Thailand. The RCMP declined interview requests in Bangkok. Harper pressed his then ambassador to Thailand Ron Hoffman to tackle the smuggling problem. Thai officials say Hoffman worked tirelessly in the last year-and-a-half on the issue. Harper also appointed Ward Elcock, the former CSIS spy master, to be his special adviser on human smuggling. Elcock, who has travelled widely throughout South Asia, declined to be interviewed. Thai officials are effusive about their deepened co-operation with Canada. Gen. Wichean Potephosree, now the Secretary General of Thailand's National Security Council, headed the Thai national police last year at the height of the crackdown. "Sharing information and intelligence is the key," Wichean says. "We have discussed about, first, how to prevent Sri Lankans (from leaving) the country." A Western diplomat, broadly experienced with the issue, says Canadians have been providing good training to their Thai counterparts in policing, border control and immigration. That has created an inhospitable environment for the leaders of the human trafficking rings, making Thailand "a less attractive departure point" for their operations. "The fact that there hasn't been another boat is evidence that something worked," the diplomat said. Others see inadvertent damage to human rights. Robertson, of Human Rights Watch, says Canada complained loudly to the Thais after the Sun Sea incident, and "marching orders went out from the prime minister" to locate and prevent the smugglers' from launching another ship. "Within a week or so, you had major arrests of Sri Lankans. The problem has been that when you have that kind of order that comes from the top in Thailand, the police and the immigration snap-to," says Robertson. Vashni, who shares a small apartment in Bangkok, has avoided arrest. "In the last year, they arrested a lot of people because we don't have a visa. Last year, this government is very tough." Vashni's parents arrived in Canada as refugees about a decade ago and settled in the Toronto area after gaining their citizenship. They live on social assistance and are not eligible to sponsor her. Vashni has another big strike against her -- she was once a member of the Tamil Tigers, the Sri Lankan rebel group that Canada considers a terrorist organization. Vashni says she was forced to join the Tigers as a teenager because her older brother fled the country; in northern Sri Lanka, the Tigers had a rule that each family had to supply at least one member. She says she was never trained as a fighter, and worked as a runner and intelligence gatherer. She managed to flee Sri Lanka in the 1990s. She returned a few years ago, hoping for a fresh start in the capital of Colombo. But the army eventually caught up with her in the months following their May 2009 rout of the Tigers. She fled, eventually reaching Thailand 25 months ago. She is certain she will be killed if she returns to Sri Lanka. "Definitely when I reach the airport, they're going to arrest me. The first question they're going to ask me is: how you went out of this country? I have no answer." Keenan says judging the validity of each Tamil refugee claimant is tricky. It is true that the Tigers, also known as the LTTE, have "a long history of forced conscription. There was a requirement that one member of every family join the LTTE." But Keenan says that can also be a story that an asylum seeker tells to win freedom in another country. "I don't envy the job of immigration tribunals or departments around the world." In the future, Thailand wants Canada to focus more on the root causes of migrant woes within Sri Lanka itself. "The best way to solve this problem is to help the origin country to take care of their people," says Boinchart Bunnang, director of international strategy at the Thai National Security Council. 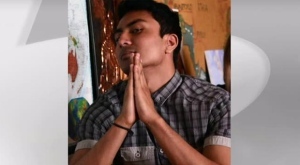 Wichean wants Canada to "assist Sri Lanka in social and economic development to lift up the standard of living of the people... Cracking down on the smuggling network is necessary. However, Canada should consider solving the problem at the root cause as well." Keenan applauds the Canadian government's hard line towards Sri Lanka to clean up its rights record and resolve long-standing ethnic differences. "Governments with lots of diasporas need to really be doing all they can to pressure Colombo to clean up its act."